Thank you Sherri for rearranging my turn on the hop. Here are my blocks and my process. I don’t have much room to sew so when it comes to laying pieces the space is limited. 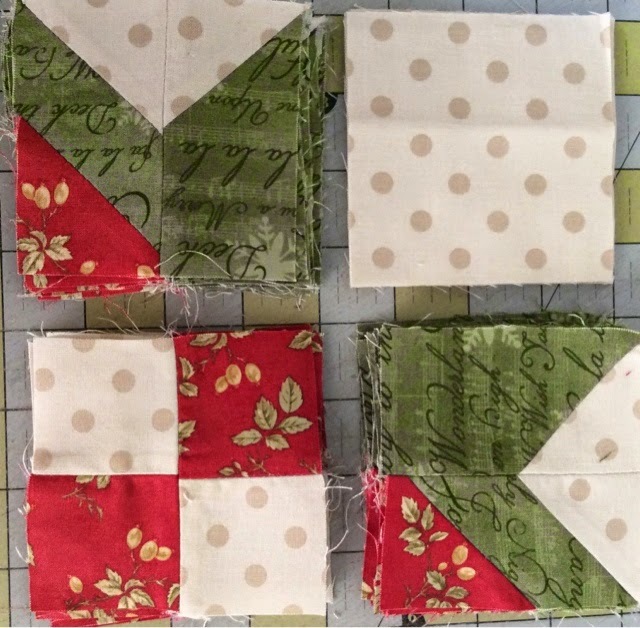 I always look at a block and see if block has any shapes that are duplicates or mirror images of each other so I can layout a small section and chain sew. 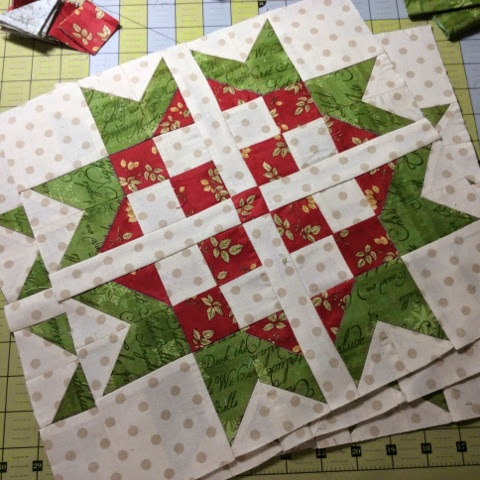 .When looking at this block, I noticed that one quarter section of this block is the pieced in the same direction as all the other corners of each block. This comes in handy when making multiple blocks of the same design. This makes it easy to assembly line sew the sections together. Or what I call mindless sewing. As long as each of the pieces are picked up in the correct order you can just out the pedal to the medal and sew. Following the block layout each of the sections can then be joined into segments and then constructed into the finished blocks. Finished blocks are ready to add to the other sections. 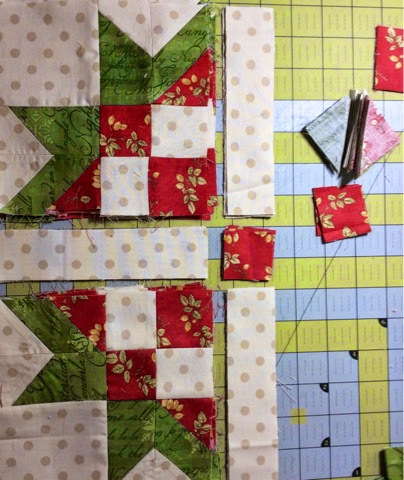 Now hop back to Sherri’s blog as she shows the final chain part of the quilt. This finished quilt will be auctioned on Ebay with 100% of the winning bid going to the Susan B Komen foundation. Stay tuned as Sherri will also be posting a link to the Ebay auction. I have always loved Sherri from This n That’s clean classic style and her latest project, Sweet Scandi was on my “to make in some lifetime” list. So when Sherri said she was going to have a sewalong, I jumped in. I am best under a deadline or else the quilt would just stay on the ever growing list “sometime”. So if you are ready to sewalong here are the details. The best part is that you will have a new quilt in time for the holidays. 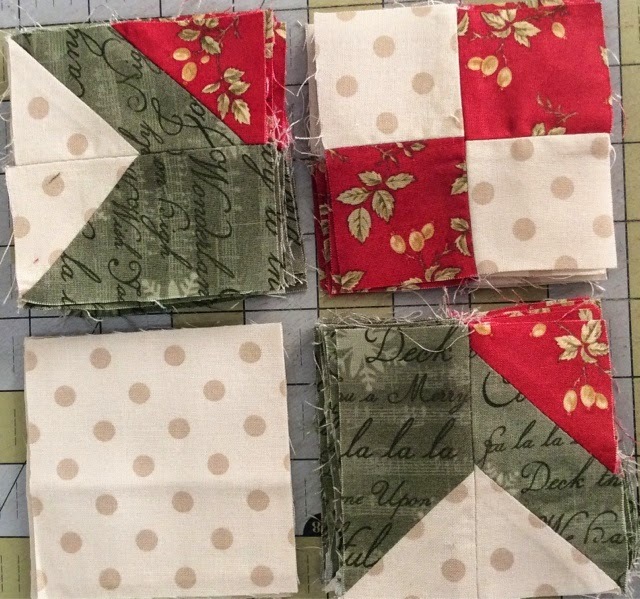 July 24th- Sherri (This N That) yardages and center blocks. July 31 Sherri (A Quilting Life) with the alternate blocks. August 7 Vickie with the corner blocks. August 14 Lissa with 3 of the large main blocks. August 21 Kimberly with 3 of the large main blocks. We will all finish our quilt tops for show n tell on August 28th. Hope you decide to join in and sew along. If you aren’t able to join us with this project, you could still own this quilt. Sherri is going to feature her quilt on an ebay auction with all the money going to benefit the breast cancer.